Long-time Peachland resident and business owner Susan Margaret Alisen McLoughlin (nee Howey, formerly Lanoville) passed away on December 17, 2018 after a brief illness. She is survived by daughter Natalie and step-daughter Marni Sheppard (Nasahn). She is pre-deceased by parents Bernice and Harry Howey, husband Colin (2001) and brother John Howey (1999). Susan was born in Kimberley and lived many places around BC before settling in Vancouver in the early 60s. She excelled at school (and at Bridge in the stairwells at International House at UBC) and graduated with an education degree. She fondly remembered the time she spent travelling around Europe and the Middle East with friends in an old Jaguar. Susan triumphed over addiction in the 70s and was a leader and mentor for many years in a 12-step program, a second chance at life that she never took for granted. Later, with her husband Colin, she would move to the town of Peachland where she distinguished herself first as a staff member at the BC Women’s Enterprise Society, then on the Board of the Peachland Wellness Centre, and finally as the Founder and CEO of the natural skincare company SBT Seabuckthorn. Susan was a loving daughter and sister, supportive wife, and an incomparable mother. She was a comfort, role model, mentor, friend, and confidante without equal. She loved to laugh and tell stories, she loved driving, and she loved the view of the lake from her front window and her beautiful garden from the back. She was a life-long learner and tackled new things with intensity and purpose. Susan lived her life with great courage and intentionality. Her relationship with God and the spiritual practices that centred and guided her meant everything to her. There was not a life she touched that she did not change for the better. The family wishes to extend deep thanks to the staff at Kelowna General Hospital and St. Paul’s Hospital for their excellent and compassionate care. A celebration of Susan’s life will take place at the Peachland Wellness Centre on Saturday, January 26, 2019 at 2:00 pm. In lieu of flowers, please make a donation in Susan’s name to the Kelowna General Hospital Foundation, www.kghfoundation.com. A service will be held in Vancouver in the coming months. The service for MCLOUGHLIN, Susan is scheduled for Saturday, January 26, 2019 at 2:00 pm. Below you will find the map for the service location and the contact information should you have any questions. 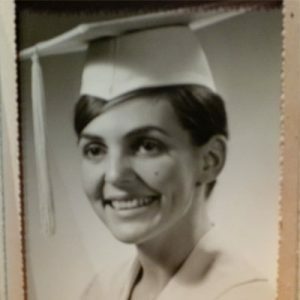 The lovely graduation photograph of Susan brought back many memories of Susan and our time at Little flower Academy in Vancouver. I am saddened to know of her death; I send my condolences to her family. I was very sad to hear that Susan has left us. She really was an inspiration to me, I was lucky to be in her life as she was expanding her Sea buckthorn business and was totally in awe of her extensive knowledge. I know that her products were life-changing to many people. And I enjoyed listening in to her Monday morning ‘call-ins’. I admired Susan’s determination and dedication. She was a patient and understanding friend.